Newmont Mining is one of the world’s largest gold miners and one of the companies participating in the first ever Water in Mining conference in Toronto, April 9-10. Ahead of the conference, CMJ took the opportunity to find out more about Newmont’s commitments to water and sustainability in an email-conducted interview with the company’s director of Environmental Affairs, Sustainability and External Relations, Briana Gunn. CMJ: Can you tell us a little bit about yourself and your history with Newmont Mining, and working in the area of sustainability in mining? 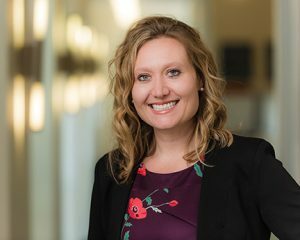 Briana Gunn: I hold a bachelors and a master’s degree in civil engineering and have focused my career on the development of strategies for operating and closed mines that support sustainability and manage risk. I joined Newmont Mining in July 2017 following my initial 16 years in environmental consulting industry. At this point in my career, I wanted to work for an organization that has a value underpinned in sustainability which I found in Newmont, whose purpose is to “create value and improve lives through sustainable and responsible mining.” Working for Newmont has broadened my exposure to the global sustainability community within mining, in addition to my previous experience in agriculture, manufacturing, beverage, and oil and gas. As part of the Newmont team, I have been able to collaborate across industries, building relationships to promote sustainability and corporate responsibility. CMJ: What kind of trends are you seeing in the mining industry generally when it comes to water management and water stewardship? BG: Water is a requirement for sustainable development and is critical to socio-economic growth, energy and food production, ecosystems, and human health. Global concerns around water availability and quality continue to increase, with the World Economic Forum (WEF) classifying the water crisis among the top five global risks for the last seven years. The increased competition for water resources pose risks to the mining industry related to water access, operational impacts to reputation and diminished asset value. Making a meaningful contribution to stewardship provides an avenue to manage future risk and secure resources to support longer term operations and growth. Industry is shifting focus toward having a leadership role in sustainability, setting strategic priorities that address the shared challenges within the watershed in which we operate. Having a shared understanding of the value of water, working in partnership to advance water stewardship, and supporting the objectives of the United Nations Sustainable Development Goals (SDGs) is a growing priority for the industry. CMJ: Tell us about Newmont’s “global water strategy.” Why did the company adopt it and what does the strategy consist of? BG: In 2014, Newmont developed our Global Water Strategy (GWS) with the purpose of maintaining existing and providing future access to water resources. The strategy identifies five pillars that aim to continuously improve how we manage water and respect water’s shared use in the catchments and river basins where we operate. n Water accounting and reporting – developing a water accounting framework for each site to consistently record and communicate use of water and volumes returned to the environment. n Governance and site water management – developing and implementing site and region-based water strategies covering the life of operations; and identifying a single point of accountabilities. n Water efficiency and targets – establishing targets to reduce fresh water consumption; to date the Newmont has exceeded our 2019 target of 5% reduction. n Collaboration and collective action – collaborating with local and regional stakeholders to support water management and conservation – educating stakeholders about water use, and developing projects that support shared challenges. CMJ: What is Newmont doing to increase the sustainability of its own water use? BG: Newmont views water stewardships as an integral part of sustainability. In 2018, a maturity model was developed that builds on our GWS and its accomplishments to mitigate risk, maintain business operations and strengthen our licence to grow, and our business objectives. Water stewardship is accomplished using a broad range of water partnership and project opportunities. Working collaboratively provides cost-effective and sustainable approaches to water challenges. Superior water stewardship practices build trust and relationships that can also serve as a source of competitive differentiation in securing permits, resources and approvals. CMJ: Can you describe some of Newmont’s out of the box strategies or thinking regarding water management? BG: Newmont has identified methods to reuse or recycle more efficiently, improve existing infrastructure, improve efficiencies, decrease cost and increase return of water back to the environment. We believe that having a water stewardship approach is the next step and provides more value than investments in small incremental water management improvements at existing operations. We will continue to identify areas for improvement utilizing the learnings of our Global Water Strategy. CMJ: Newmont uses water risk research tools designed by the World Wildlife Fund and the World Business Council for Sustainable Development. Can you describe some of the benefits of working with or collaborating with partners such as non-profits on sustainability? BG: Newmont has looked at water risks in multiple ways, identifying physical, reputational and regulatory risks that exist for ourselves and others within the watersheds in which we operate. In 2018, we formed a partnership with World Resource Institute (WRI) to utilize WRI’s Aqueduct Water Risk Atlas and Cost of Water Stewardship database to identify risks at a site level within the watersheds where we are operating. This year, we will develop watershed based targets that are based on prioritized current and future risks and collaboration opportunities. CMJ: Newmont is involved with the ICMM’s Tailings Aspirational Working Group: can you describe the work that’s being done there? BG: Newmont is participating in work with the International Council on Mining and Metals (ICMM) tailings aspirational goal (TAG). An aspirational goal was developed in 2017 by the ICMM Council. Work with ICMM is ongoing; there have been some revisions in the scope of the work based on the recent tragic tailings dam failure in Brazil. The TAG group will be meeting in mid-March to discuss the path forward. CMJ: Are there any new technologies or trends you’re particularly excited about when it comes to water monitoring, water efficiency, tailings or any other area of water management that you would like to highlight? BG: None to highlight at this time, as stated above we are concentrating on water stewardship as an approach to manage water as a shared resource.